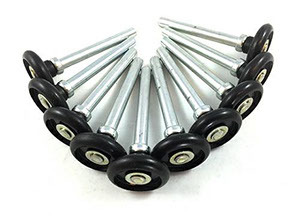 10 high tech polymer Quiet rollers, virtually indestructible!! Smoother, quieter operation. No lubrication Required. 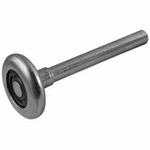 2" diameter makes the rollers compatible with most garage door manufacturers. 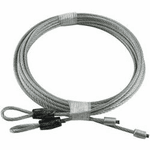 Great for harsh environments. 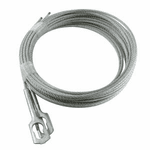 Free with the purchase of 2 Torsion Springs, A 27.50 value. You need 10 Rollers (Free)A Pair of Cables And The Bearing Kit For A Complete Garage Door Overhaul. We Specialize In High Cycle Springs. 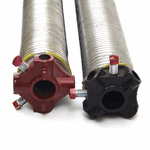 An inexpensive upgrade that ($29.90 Pr) will double the life of your existing torsion springs. If your garage door (cycles)opens/closes more than 3X a day add the 20,000 Cycle Upgrade to your order. What is High Cycle Garage Door Spring?